We had some friends over for dinner this past weekend to help kick off barbecue season. N, being on meat duty, turned to our trusty barbecue cookbook for guidance and found an unbelievably delicious recipe for lamb + pistachio burgers. I, on the other hand, was on veggie duty (obviously) and relied on a variety of spring greens for a flavour packed, crunchy side. Whether you're craving a hearty dose of vegetables after passover seders, or are looking for the perfect side for easter dinner this weekend, this broccoli and leek salad can suite both needs. If you don't have access to a bbq, use your oven. 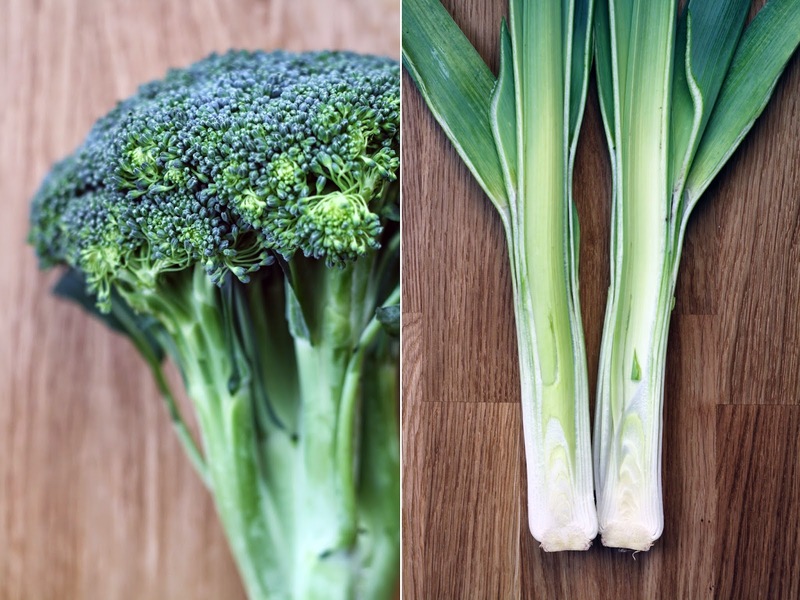 Chop the broccoli head into florets, cut the stems into 1/4" pieces and cut the leek lengthwise down the centre, and slice. Combine the vegetables in a large bowl with the lemon zest, olive oil, salt and pepper. Toss to combine. Prepare the remaining ingredients before you head to the barbecue - roughly chop your herbs, toast the nuts, and set aside. Grill the vegetables on the barbecue in a bbq wok for 10-15 minutes until lightly charred yet still crunchy. Remove from the grill and toss with the remaining ingredients.